Med. 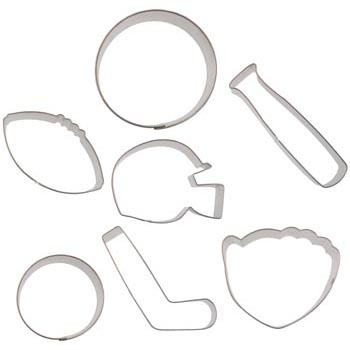 circle: 2" diameter x 1" deep Shapes include a football helmet, soccar ball, hockey stick, baseball, football, baseball bat and baseball mitt. Made of tinplated steel. 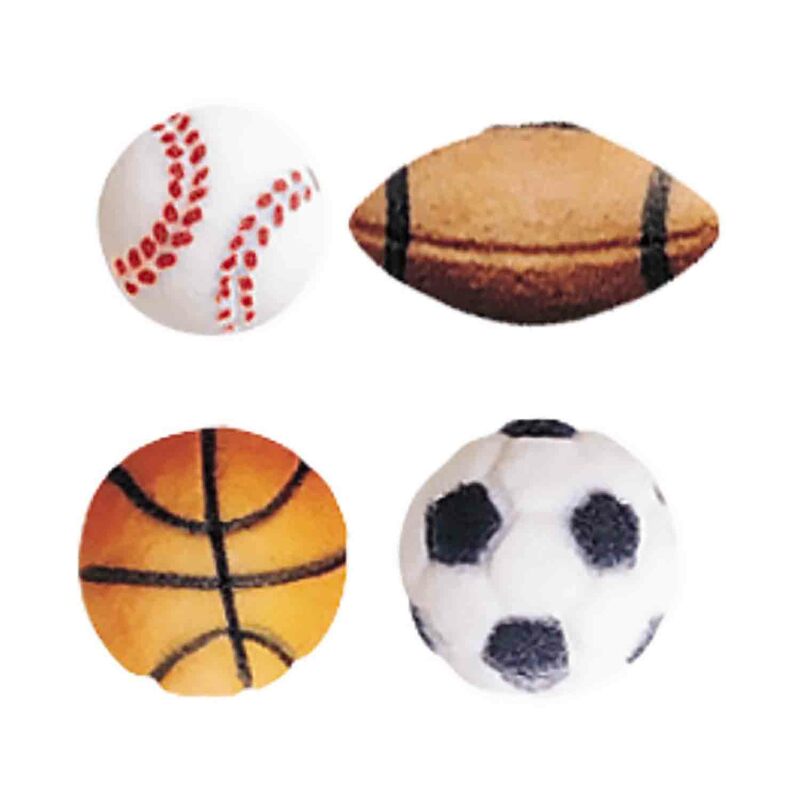 Shapes include a football helmet, soccar ball, hockey stick, baseball, football, baseball bat and baseball mitt. Made of tinplated steel.